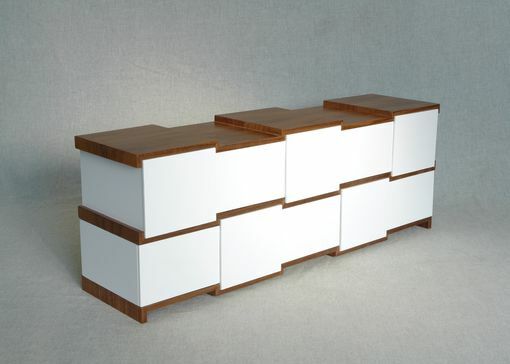 This sideboard was designed for an executive's office. 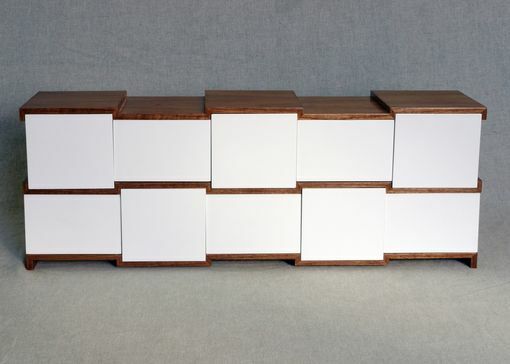 It is made of Walnut and white lacquered MDF-faced lumber-core plywood. It has five file drawers and five storage spaces behind doors, all touch-actuated. Dimensions: 31h" x 81w" x 20d"